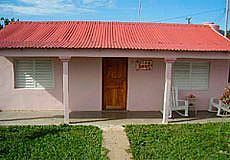 Casa Samanta is located on the main street of Viñales a few minutes from the center. 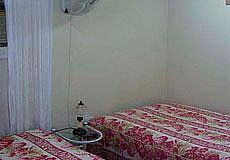 It has 2 spacious rooms, ventilated, clean and with all amenities. 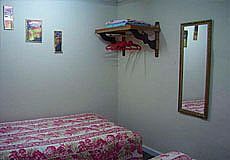 They are rented two rooms and are equipped with air conditioning, fan, private bathroom, hot and cold water 24 hours, bed linen and towels and free parking. 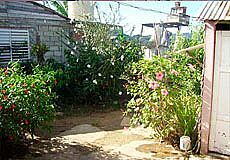 The house has an ample portal and garden with view to the mountains. The hosts of the house speak fluent Italian and English and are always available to help you in whatever you need. They offer breakfast, lunch, delicious Creole dinners (at the time the customer likes and prices according to the menu). Excursions are organized, taxi service. 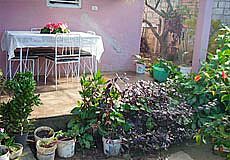 The rental price depending on the season of the year, the demand for rent and the type of room and it is from 20 CUC to 30 CUC. 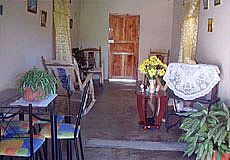 Book with us and you will get the best price available on the market for Samanta House. Usually, payment must be in CUC upon arrival at the rantal place.